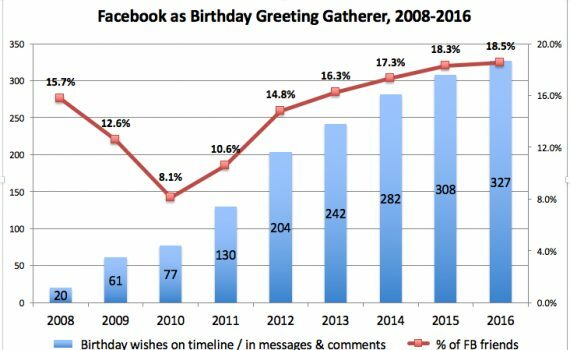 In which we use nine years of data as a jumping-off point for musing on birthday greetings, algorithms, and muffins. In which we reflect on the transformative impact of college educations, using a family anecdote. Why would we keep them down on the farm? In which we note the 20th anniversary of chicago.tribune.com with a fair amount of wonderment and a roll call. We'll talk about the extra dot some other time.